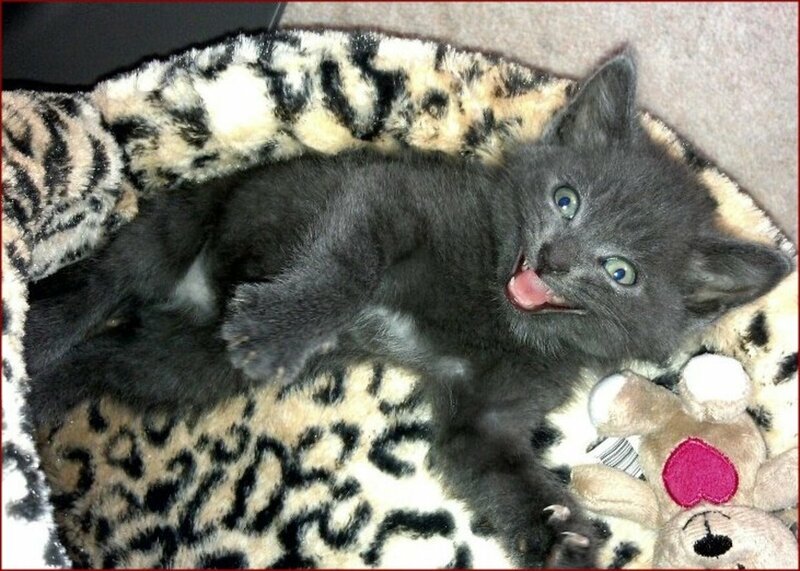 Why Choose A Heated Bed For Your Cat? There is strong veterinary evidence to suggest that a heated bed can help to improve your pet’s immune system which can be adversely affected by cold winter weather. For a cat who is unwell or who is convalescing after an illness or operation, providing a cosy bed will ensure that he will be content to stay warm and relaxed and curled up – and speed up his recovery. The usual body temperature for a cat is around 102 degrees so a cozy heated cat bed or heating pad will help him to maintain his body temperature and this is especially important in older cats. Whether your feline friend lives indoors or outdoors, he may suffer from arthritis or just the general aches and pains that everyone, human and feline, gets as we grow older. Read on to find out more about the benefits of heated cat beds and why vets recommend them. Two Heated Pet Bed Models I Recommend! I really like the design of this bed which is stocked in our local pet shop. 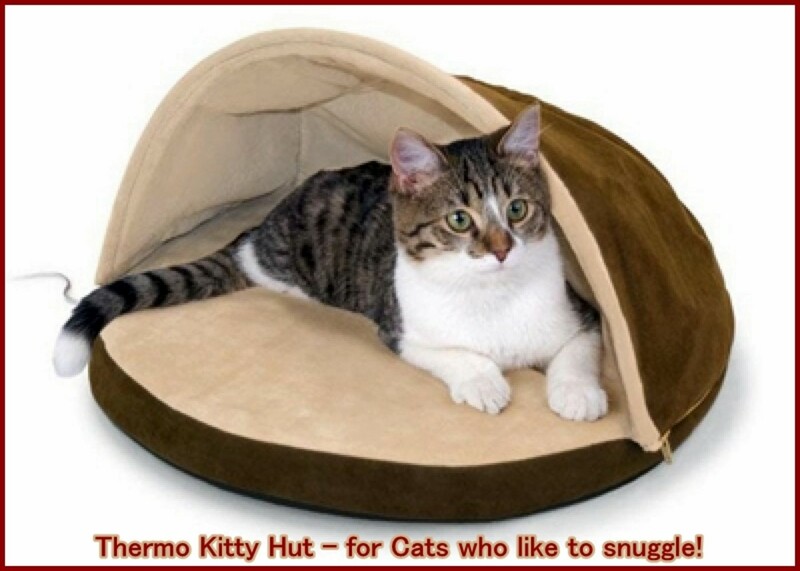 When I was researching this article, I asked the shop owner which were the most popular cat beds and why, I was told that this is one of the most popular models and that he has many customers who have told him their cats love this bed and they all say that it is the cute and cuddly hood which their cats find so appealing! The hood is flexible and can be positioned up or down depending on preference. It comes in two colors, Sage, (a soft green color) or the one featured in my larger picture above Mocha (a rich brown). 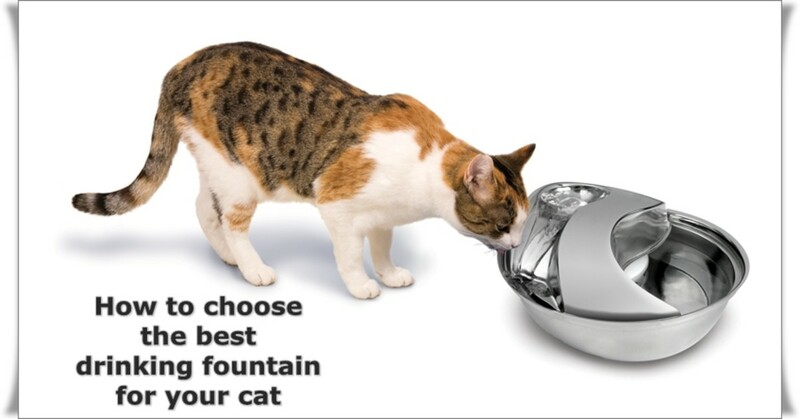 This unit is designed for cats up to 15 pounds in weight and it measures 18 inches in diameter. It has a 4-watt dual thermostat heating unit which warms the bed to a cozy 102 degrees providing warmth and comfort for joints, especially in older pets. It saves on running costs when your cat is not using it by maintaining a temperature of 12-15 degrees above the ambient room temperature. 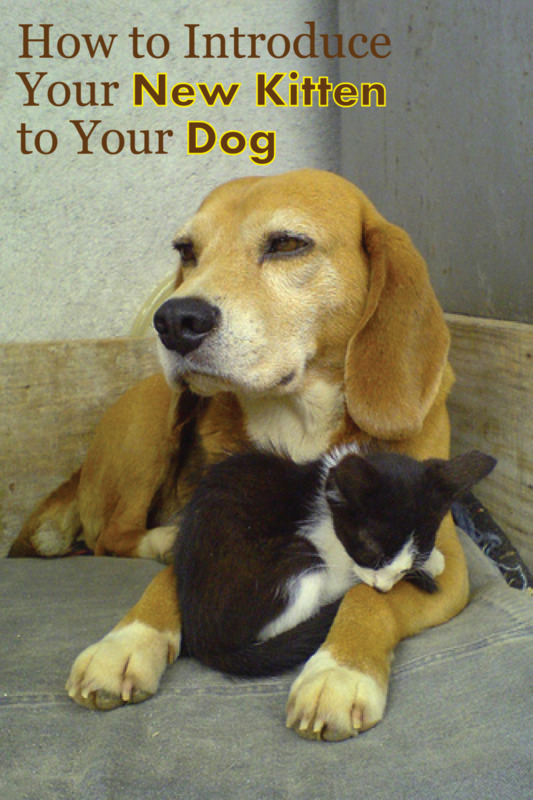 You can be sure it is safe for your pet as it has both UL and CUL listing. It is recommended for indoor use only and comes with a limited one-year warranty. The electrical cord provided is 5.5 feet so dependent on where you plan to position it, you may need an extension cord. 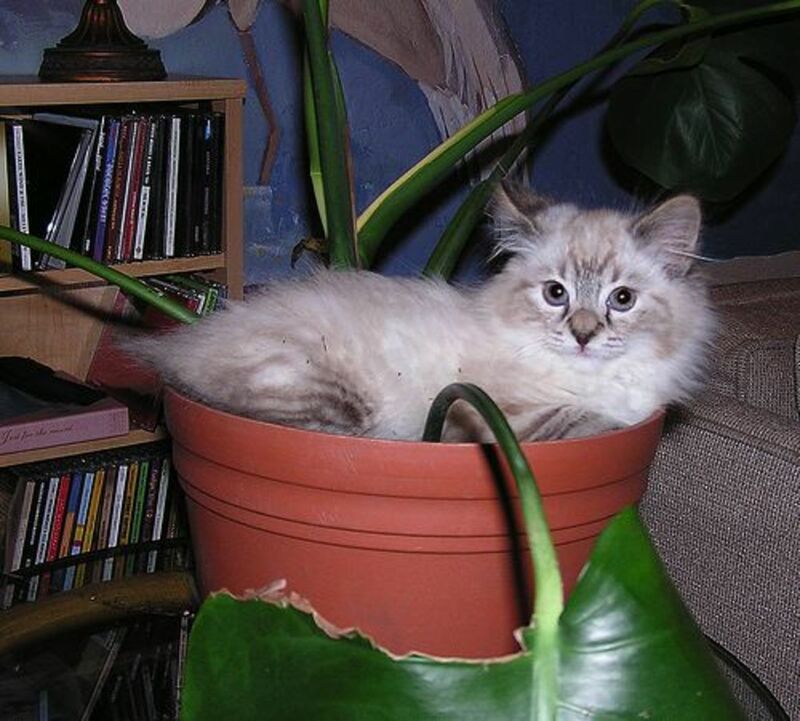 My son's cat, named Asrael (but who now just answers to 'Puss'), has grown into the bed he is pictured in at the top of the page. It is not a Thermo Kitty bed but James (my son), said they would buy a Cuddle Up bed if they need to replace this one. His reason is, that on their existing bed, the cover is not removable for washing - the 'Cuddle Up' bed is designed with comfort and practicality in mind as it has a soft, plush fabric cover which is also washable. This inexpensive, cosy bed is 16" in diameter and designed for all those cats who like to feel snuggled in! 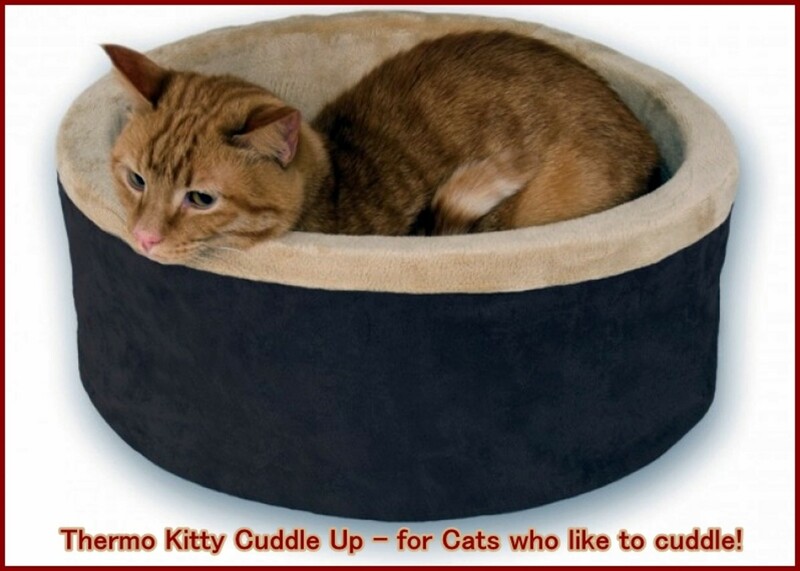 Cats up to around 15 pounds in weight will have no trouble getting cosy in the cuddle up bed. With low running costs, the very energy efficient 4-watt heater ensures that the Thermo Kitty Cuddle Up bed is kept at the perfect, Vet-recommended temperature of 102 degrees. The fitted electrical cord supplied is 5.5 feet in length so, as with the Kitty Hut model featured above, you may want to use an extension cord to position this bed where you want in your home. This bed is for indoor use only and comes with a limited one-year guarantee. See more about this product in the video below. 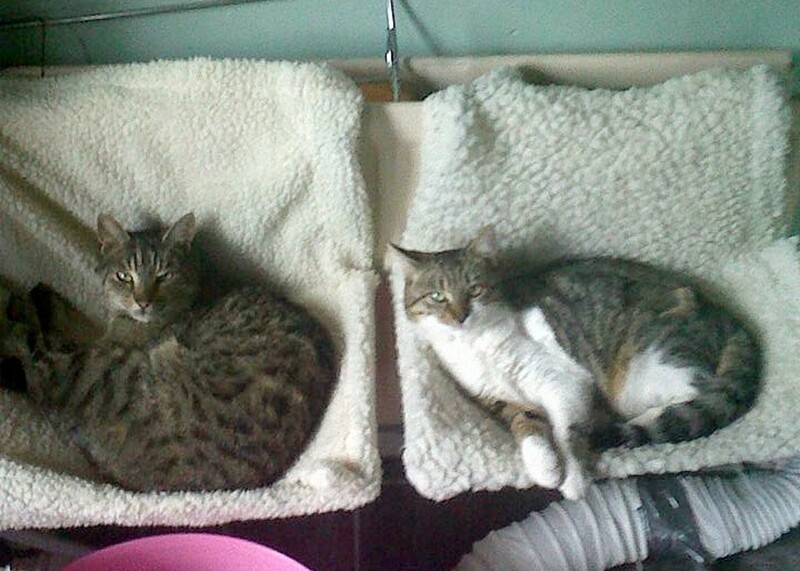 Cats Love the Kitty Hut Range of Beds! Below is an extract from just one of the 1,929 reviews of the Thermo Kitty Heated Cat Bed on Amazon at the time of writing this (updated March 2016) - 76% of reviewers (including this one who actually said she would give it ten stars! ), gave the bed the full five stars, 11% gave it four stars! Many of our cats squish themselves into shoe boxes and other ridiculously small things, and almost every cat we've ever met makes a beeline for anything even remotely radiating heat. So, we bought four beds right off the bat, figuring there's no way we'd be making a mistake. And we were right. The cats were crawling into them within literal seconds after we unpacked them from the shipping box, when they were still on the kitchen counter and not even plugged in yet! — Amazon Reviewer, "Cat Lover"
Outdoor cats can be a worry, especially if you are away from home all day. Luckily, there are outdoor heated beds and pads that may safely be left in a shed or your garage or anywhere dry that your pet has access to. For house cats who are home alone while you are out at work all day, a pet heating pad will enable him to make himself comfortable and warm and will also give him the comfort he would otherwise derive from snuggling up on your lap. 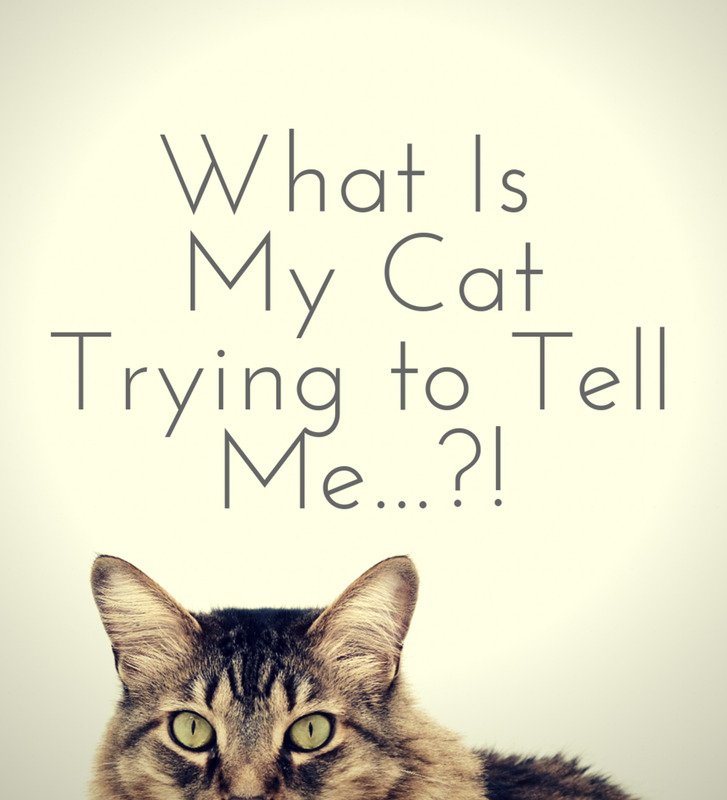 Want to Find Out More About the Benefits for Your Cat? The normal aging process and expected changes in the behavior, needs, and care of older (senior, geriatric) cats are described. The prestigious Veterinary Medical Information site, vetinfo.com has several interesting articles about the benefits of heated pet beds, this is just one that I picked out from the selection onsite. 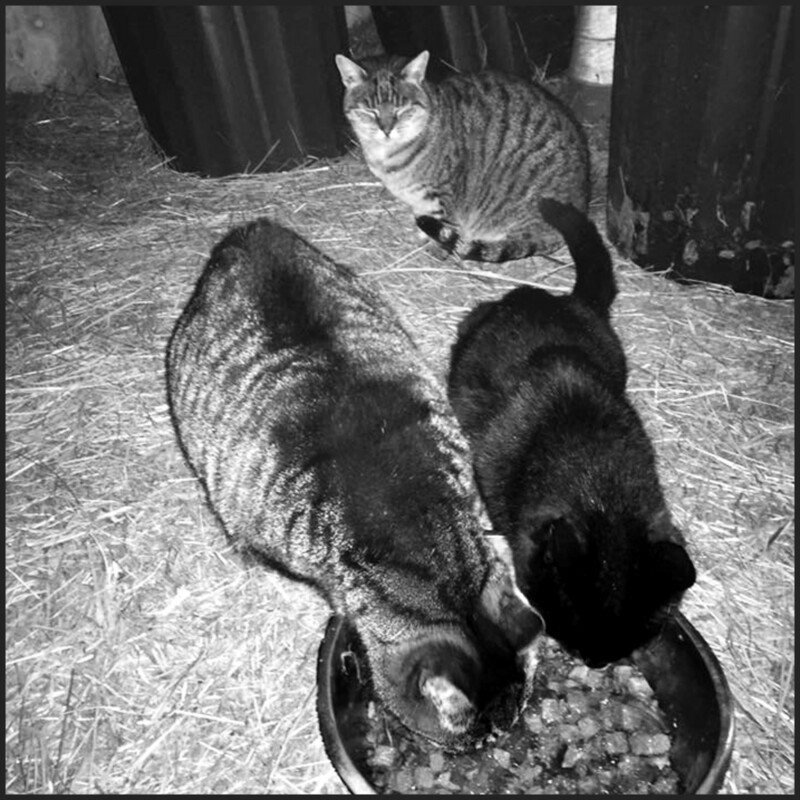 If you live in the country, on a farm or small-holding, you may have a feral cat or group of cats in residence. 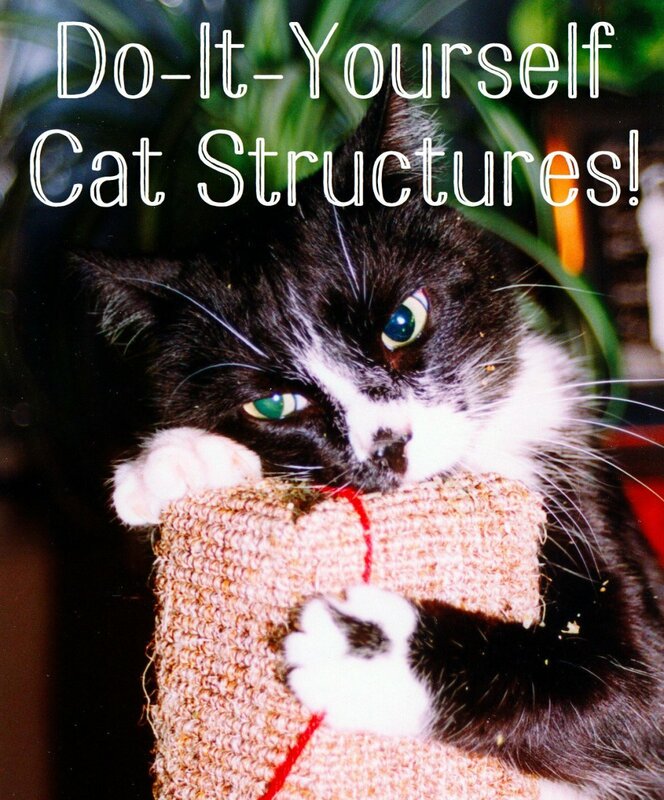 To help keep them warm in the winter, the cat houses featured in the video below are easy and inexpensive to build and filled with straw for a warm, safe bed for a cat when the temperature plummets. There are several alternatives to a heated cat bed that will help to keep your pet warm and snug. A Cat Radiator Bed enables your cat to snuggle up to the warmth of a radiator to toast himself whilst your central heating is running. Advantages are that they are less expensive to buy initially, there is no need to site the bed near to an electricity supply and there are no running costs. Disadvantages are that there is no way to regulate the temperature so your cat may get too hot when the radiator is running hot and chill down again when the heating goes off. Thermal beds do not use any form of heating - although of course, you could insert a microwavable heating pad into the base on a cold night. Thermal beds are designed with special insulation materials so that they reflect back your cat's body heat and this results in a very warm cosy bed in just a few moments of your cat being inside it. In fact, these beds are so efficient at keeping your cat warm that they are almost as good as the electrically heated models when used inside the house. The pad type is great for insulating your cat from the cold of the floor if he prefers to sleep there. Microwavable pads used to be a short term heating solution. Usually filled with something like buckwheat, the pads, once heated, would stay warm for around an hour or so. 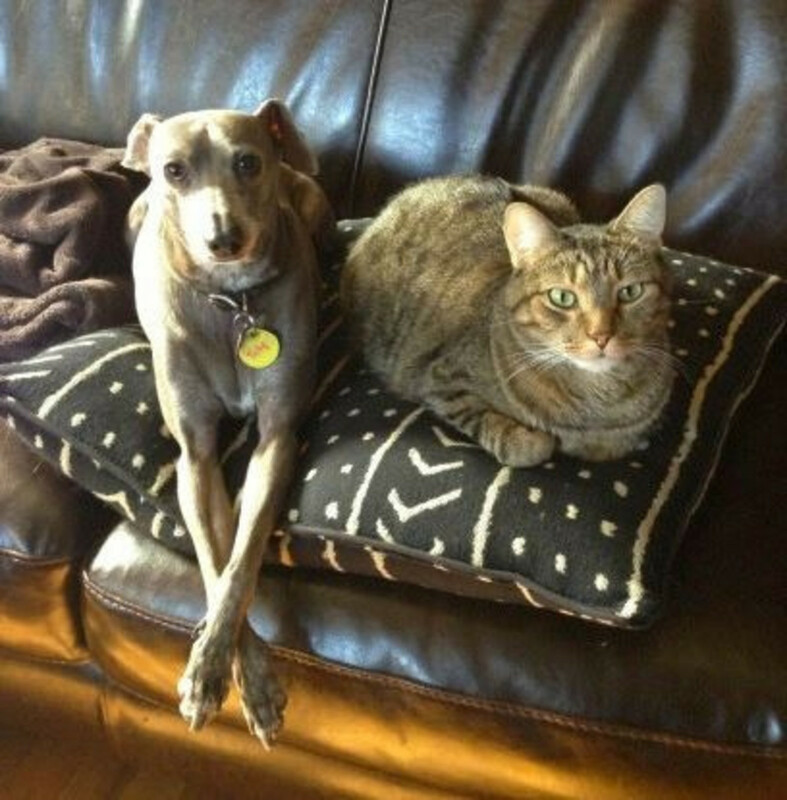 Now, a new generation of microwavable pet heating pad is available. The one I have, (pictured below), is from Amazon. It comprises a fleecy, washable cover with a Velcro closure and a pad, filled with a non-toxic substance that will stay warm for up to twelve hours with just one heating in the microwave. The brand is called 'snuggle safe'. It is, of course, reusable many times and provides excellent value for money. These types of pads are also wonderful for treating back pain (so you may be borrowing this from your pet if you overdo the gardening!). 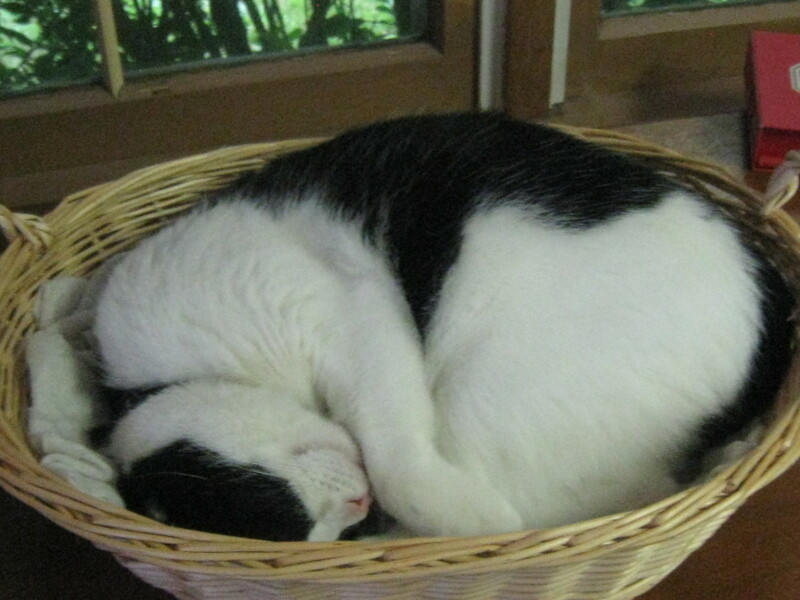 To sum up, heated cat beds can have many benefits for your pet. An older animals will have any joint pain reduced, a convalescing or sick pet will have his immune system boosted and be encouraged to rest and relax in the warmth of his bed. An outdoor cat will have somewhere warm and cosy on cold days and indoor pets will have a cosy retreat (off the furniture) if the heating is not on and the comfort of warmth if he does not have your lap to sit on. A heated cat bed is not a huge investment financially and most have a 4 watt heating element that makes them very inexpensive to run. What should a pet’s heated bed be set at? Hi, thank you for your question - I can't speak for all models, only for the Thermo Kitty brand that I have tried and can recommend. 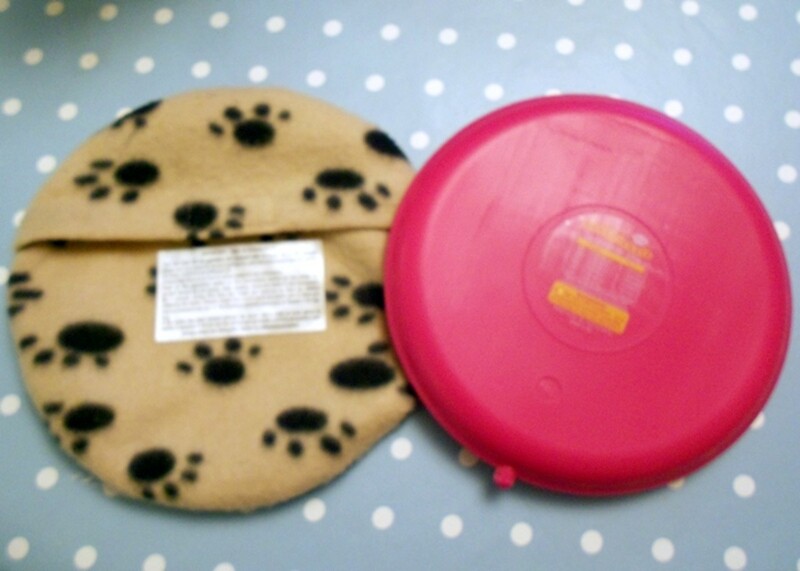 These have an internal thermostat that will warm the surface of the bed to the normal body temperature of your pet and saves energy by only heating the pad when the pet is using the bed. This means that no manual adjustment of the temperature is necessary with these models. However, as it is recommended that the bed temperature should be the same as the normal body temperature (about 101.5 Fahrenheit for both cats and dogs), this is the temperature you should set the thermostat at if this is necessary on the pet bed model/brand that you have. Thanks Alexander, hope you found my article on heated cat beds helpful - I certainly enjoyed researching and writing it. I am so glad to find out that this is a thing! David, I just had to go and check out https://hubpages.com/literature/litter_clump_art !!!! I hope that the heated cat beds are more practically useful if not so artistically presented! From one cat lover to another....Great Hub!! Cool product that I didn't know was out there. A lot of good ideas that can be put to practical use just like my Litter Clump Art. thanks prairieprincess, the heated cat beds I have reviewed here have been very popular - I was expecting the toys I reviewed to be my best sellers but it is the cat beds and the cat fountains in my other hub that have sold the most. These are a great idea, and I will look at getting one or two for my kitties. Thanks for a great hub! Thanks RTalloni for your comment, I did not know there were specially designed heating pads for outdoor cats until I started researching this article. What a great idea! For the last several years we've used a regular heating pad for our darling outdoor kitty-cat. We've tried to be careful to give her good padding on top of it as well as watch out for overheating. 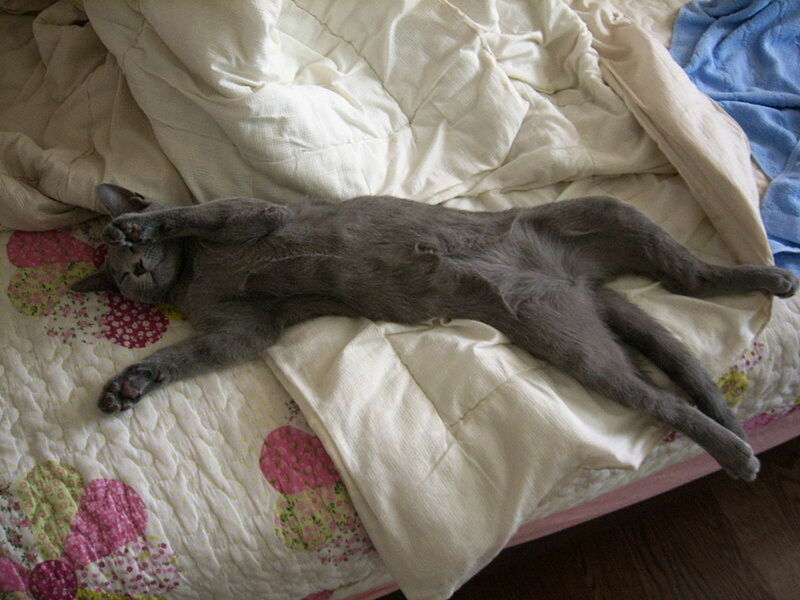 It would be great to have a heated bed designed for a cat's safety and for household safety. I agree amillar, cats have a way of always getting the best out of life! If I find a man-size kitty camper, I'll be sure and let you know! 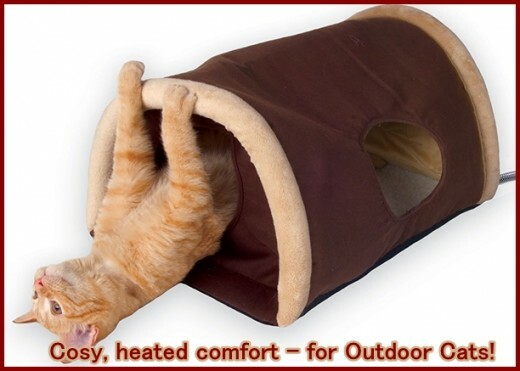 Hey, isn't it about time they made one of these Outdoor Heated Kitty Campers man-size, for when I'm in the doghouse. When I saw that, I almost got my wallet out. Thanks Marty, not sure if there is much call for heated cat beds in your part of the world though! Hi Wendy, thanks for your comment. I had no idea they had these. Very cool. I didn't know they had these. I will have to tell Mum as she loves to spoil Pebbles the Kitty! Hi patdmania, I think the heated beds are a very good idea for elderly or infirm cats or those who live outdoors. As for safety, they have a very low wattage heating element (4 watts) so can only get up to 102 degrees fahrenheit when the cat is inside. I guess with anything electrical there is always a remote chance of a problem but these are rigorously tested for safety. You have to be a spoiled little cat to get a heated bed. I would be worried about it starting fires. Good Hub!